In 2007 the Department of Finance and Personnel (as then was) published the concluding recommendations of Professor Sir George Bain’s legal services review group. This group had, in early 2004, been tasked with reviewing the regulation of the provision of legal services in Northern Ireland. 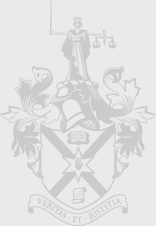 The main recommendations in the Bain review included proposals to reform the Complaints handling systems of the Law Society and Bar Council along with a proposal to establish the post of Legal Services Oversight Commissioner to oversee complaints of both Solicitors and Barristers in Northern Ireland. The Legal Complaints and Regulation Act (Northern Ireland) 2016 was introduced following consultation. The Act amends the way in which legal complaints are overseen and introduces a number of new statutory measures. - A local practitioner to discuss the benefits, challenges and practicalities of implementing client care policies and procedures within the firm.